Article analyzes four scenes from Korean dramas that depict signs of misogyny, sexual harassment, and dating violence in a romanticized light. 1. KBS 'Uncontrollably Fond' - Junyoung often physically pulls around Noeul by force, sometimes even picking her up without permission. He shouts and kicks at her, and in one scene even leaves her on the side of a road after violently driving her around. Editors chose the scene where Junyoung and Noeul get into a fight and he forcibly pushes her onto the bed and slides her zipper down while the camera pans to a hesitant Noeul as the worst scene of the drama. 2. SBS 'Our Kapsoon' - Depicts the ultimate drama cliche of the forced kiss. Kapsoon breaks up with Kapdol and walks away until he grabs her, pushes her against the wall, and forcibly kisses her until she submits and kisses back. 3. MBC 'Lucky Romance' - Gunwook visits Boni's house asks her to eat with him. She declines, saying she's grateful for the offer but would rather not. He then bursts through her door without permission. 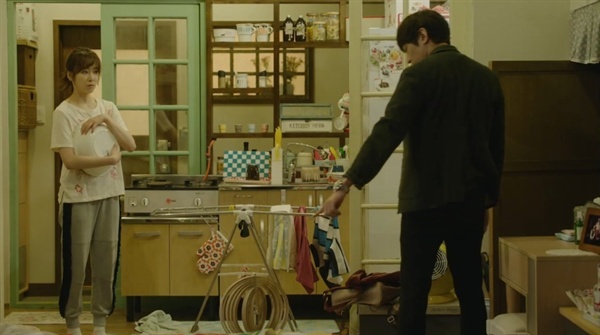 Editors criticized the scene for how it transitioned into a romance scene with the two resolving their differences and the 'open door' symbolizing the opening of a new relationship when the realistic course of action should've been Boni calling the cops for the intrusion. 4. tvN 'Another Oh Hae Young' - On the contrary to the first scene, this drama depicts a scene where a man forces his way into a woman's home but under the pretense of protecting her. Editors pointed out that it still doesn't change the fact that he trespassed onto her property, no matter his intentions. The drama itself was met with several scenes that were under controversy for dating violence, such as Dokyung breaking his car window with Haeyoung still riding it, a scene where he pulls her wrist out of a restaurant, and visiting her house without permission. Editors pointed out that any man who shows such signs of violence should be dumped immediately and blames dramas for normalizing or romanticizing such violent actions. 3. [+1,462, -14] What's worse is that dramas also perpetuate the notion that if a woman doesn't like being treated like this, she's just playing hard to get. It's also a problem that girls see these scenes and think that it's romantic and exciting. Violence shouldn't be romanticized on screen because teens grow up seeing it and repeating it. 7. [+406, -13] This article hits the point on the head. I'm sick of these dramas. I'm scared of kids watching this and learning from it. 9. [+269, -12] With dramas and webtoons, we ultimately know that the two characters will be happy in the end so we're able to romanticize moments of violence like that... but if you watch American dramas, you'll notice that any scene where the male lead tries to take a female lead by force, everyone around him is like stop! or runs to hold him back. Even the female lead's lines after that is something usually like "You're hurting me!" or "Don't touch me!" unlike the Korean female leads who just submit and act sweet afterwards. 10. [+196, -3] I hate!! scenes where the female lead is always opening her eyes up wide like "what're you doing~ what're you going to do to me~" all submissive, acting like puppies in the window of a pet store... wake up! 11. [+194, -12] In American or UK dramas, if a couple is ever holding each other by the wrist, it's usually a prelude to a fight, unlike Korean dramas where it leads to something romantic... Scriptwriters need to focus more on having female characters unique enough to lead a relationship on their own instead of being dragged around by the male all the time. What will our little girls learn? 12. [+152, -10] 'Uncontrollably Fond' had to be the worst offender of these cliches. He grabs her by force all the time, drives her around violently before throwing her out, kicks her, pushes her, embarrasses her, humiliates her, claims to love her publicly but then goes and dumps her and hurts her... the drama just made him seem like a crazy person. 13. [+120, -1] Don't forget the forced kiss scene the other day on 'Moon Lovers'. The female lead clearly says "I am not yours, I am scared of you" but he goes and forces a kiss on her after saying "You're mine!" 14. 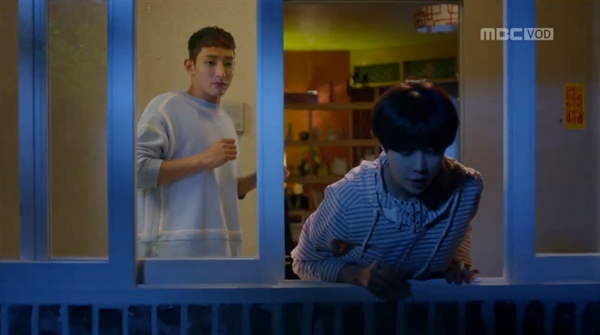 [+127, -10] I remember seeing that scene in 'Lucky Romance' where the man forces his way into her home when she told him not to. Dramas feel so different from the real world... but I bet men watch these scenes and try it in the real world and think the woman is playing hard to get when it doesn't result in romance. 15. [+109, -0] Yeah, scenes like this totally make me lose respect for the male lead... the illusion is just shattered.